Calling California Grad Students and Postdocs: Apply for Our California Science Translators Showcase! The California Council on Science and Technology (CCST) is excited to seek graduate students, postdocs, and early-career faculty for the inaugural California Science Translators Showcase, held as part of our 2018 Science & Technology Week at the California State Capitol! 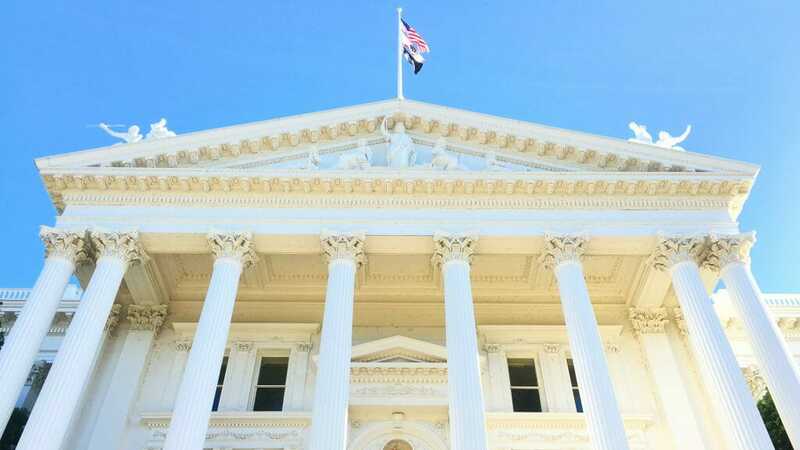 The chosen presenters will get a chance to explain their research to state legislators and legislative staff during an afternoon networking event at the California State Capitol Building. We’re looking for candidates who are eager to practice their science communications skills and convey the relevance of their research to public policy applications. The goal of this experience is to improve your skills in offering impartial, nonpartisan advice to policymakers, to meet other amazing researchers, and to proudly represent your home institution. You must be a current masters or PhD student, postdoc, or early-career faculty member (within first 3 years of your hire) in a science or engineering field at one of the following education systems: University of California, California State University, Stanford, Caltech, or California Community Colleges. You must identify a CCST Council Member who best matches your institution or field to potentially serve as your sponsor (you do not have to personally know the Council Member). As CCST’s chief body of expert advisors, our Council Members will take part in the proposal review process and will nominate the final roster of presenters. Search the CCST Council Members list here. You must be available to travel to and be present in Sacramento for one day on Tuesday, February 20th, 2018*. Chosen presenters will receive reimbursement for mileage or airfare and ground transportation. You will also be asked to attend two separate hour-long training webinars ahead of the event (tentatively scheduled Jan. 26th and Feb. 2nd, noon PST). Cover letter, single page only. Tell us why this experience will enhance your professional development and career exploration. Resume or short CV, no more than 2 pages (single sheet, front and back). On one page, please list one CCST Council Member who might best match as your sponsor, and a brief sentence explaining why. And please list contact information for one academic mentor who can vouch for your aptitude for policy and science communication, and for your professional presence. Link to one video (YouTube, Vimeo, Google Drive, etc. ), not to exceed 60 seconds, where you explain your research and its links and implications to California public policy issues. Pretend you are speaking to a legislator or staffer. It does not have to be a highly produced video; we are interested in your ability to engagingly translate technical information and deliver impartial advice, not your video editing skills! Email your application PDF to Ben Landis at [email protected]cst.us (subject line: Application for California Science Translators Showcase), and contact Ben for application questions. Selection and video-call interviews will take place in mid-December. Candidates will be chosen based on selection criteria and diversity of topics and experiences. Winners will be contacted in early January. This is a fantastic opportunity for anyone who is interested in gaining a science policy experience ― especially if you’re not yet qualified to apply for our CCST Science & Technology Policy Fellowship program. Good luck, and we hope to see you in Sacramento! *Event date subject to change. Finalists will be notified in the event of any changes. Join CCST for an afternoon reception with state legislators and staffers, and represent your home institution in the California State Capitol! The California Council on Science and Technology is a nonpartisan, nonprofit organization established via the California State Legislature in 1988. CCST engages leading experts in science and technology to advise state policymakers ― ensuring that California policy is strengthened and informed by scientific knowledge, research, and innovation. Find CCST on Facebook at facebook.com/ccstorg, on Twitter @CCSTorg, and on LinkedIn. Learn more about CCST at www.ccst.us.